I am writing to you again from the Synod of Bishops, where we are examining the realities of young people in the world today and how the Church can best help them to follow the path that God wants for their lives. This past weekend I had the joy to participate in the Holy Father’s Mass canonizing St. Pope Paul VI and St. Oscar Romero and five other holy men and women. There were more than 70,000 people in St. Peter’s Square, including more than 100 who came from the Archdiocese of Los Angeles. It was a beautiful fall day in Rome with bright sunshine, and Pope Francis delivered a challenging homily, calling all of us to travel the path of the saints. This is the call we need to make to young people. Not a watered-down or a “half-way” Christianity. That is not what Jesus wants. And it is not what young people want. Young people today demand and deserve what every human heart is longing for — the encounter with Jesus Christ. To proclaim Jesus Christ, Son of the living God made incarnate for our sake, crucified and risen to liberate us from slavery to sin and death, and to call young people to conversion and new life in Christ — this must be our urgent priority in the Church. Sadly, young people today do not know how to live authentic human lives because the adults of our secular society have not shown them the way. The vision for life offered to young people in Western societies does not call them to goodness or beauty or truth. Instead, what is offered are various life “styles” and alternatives for self-creation rooted in the restless consumption of material comforts, virtual entertainments, and passing pleasures. 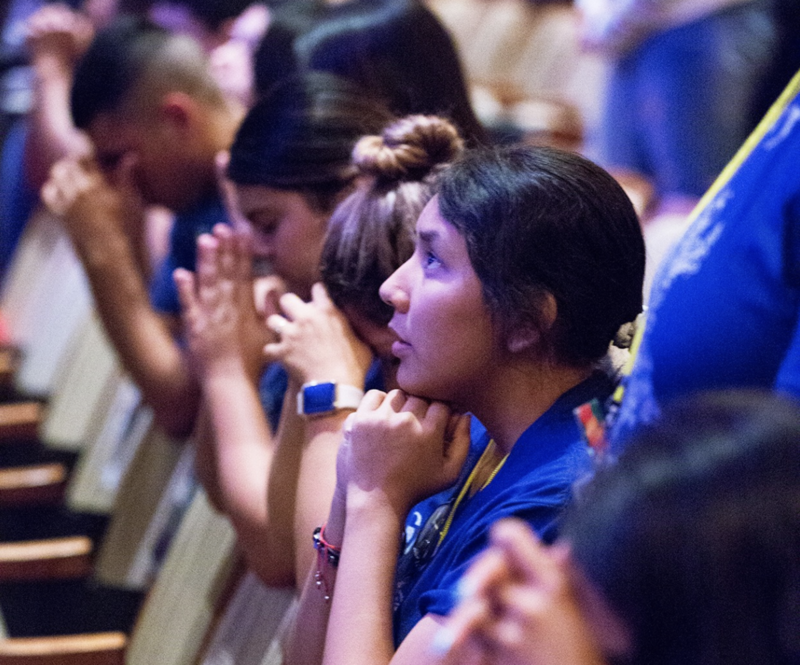 In my conversations and ministry with young people in Los Angeles, I have come to see that the Church holds the answer that young people are looking for. We must reach out to them, proclaiming the gospel as God’s beautiful plan of love for our lives and our world and as “the greater things” that we are made for. In the incarnation of the Son of God and in his passion and resurrection, we see revealed the dignity and destiny of the human person, created in God’s image and called to live by his Spirit as a child of God and to be saints — to be holy as our Father in heaven is holy. I believe we need to look to the saints of our times for new models to capture the imagination of young people and to inspire them to live their vocation to be “everyday saints,” each in his or her own way. In every continent, we have intriguing figures of different ages and walks of life. We are all called to be saints, no matter what our state in life. God is calling young people to live their lives as a mission, following in the footsteps of Jesus Christ and walking in the company of others who have met him and made him the “way” for their lives. And the Church — all of us, bishops and priests, parents and schools and ministries — we are all called to serve and accompany young people on that journey. We need to boldly proclaim and confidently live the teachings of Jesus Christ and his Church as the one true path that will lead us to virtue and holiness and the happiness that God created us for. All of us need to model for young people how to pray as a conversation with God and how to contemplate the face of Christ in the pages of the Gospels and in the mysteries of the rosary. We need to help young people to encounter and serve Jesus Christ in performing works of mercy for the poor. We need to help them to meet the risen Lord in the Eucharist and confession. We must cultivate in them a sacramental and liturgical life and a loving devotion to the Blessed Virgin Mary, as their mother and the mother of the Church. We need to show young people what holiness looks like, by living the gospel we preach, proclaiming Jesus Christ by the way we live. We need to call young people to be saints — and we need to be saints ourselves. And pray for these final days of the synod. May our Blessed Mother Mary and our new saints give us courage and wisdom to bring our young people to the true encounter with Jesus Christ.